The skyrocketing mountain parallel with Zagros mountain range stretches in a length of 175 km. in Ilam Province. Erected in the west of the country, the mountain offers great views of trees and beautiful flowers south of Ilam’s plain. The region involves heights on its east and northeast in contrast to low-level lands like tropical fields of Mebhran, Dehloran and Dasht-e Abbas. The highest part of the mountain, Kan Seifi, lies at an elevation of 3,065 meters. The eastern slopes lead to deep valleys with abundant waters and on its west, on the intercountry borders between Iran and Iraq, it contains rich oil resources and reserves of gold and diamond. All of the peaks are snow-blanketed all year round. Traces of life can be seen in the caves and cracks here. The wildlife in the region comprises goats, rams, bears, and leopards as well as ewes, and fawns. The mountain, especially on it north, houses oak trees and pastures with rich vegetation. It is also home to a chain of rivers and springs thanks to ample annual precipitations. Almost the majority of them enter Iraq’s soils and few join Seymareh and Karkheh rivers. Formed as a result of sedimentation, Kabirkuh has come into existence in cretaceous period. Similar to all mountains in southwest of the country, it stretches from northwest to southeast with orderly walls. 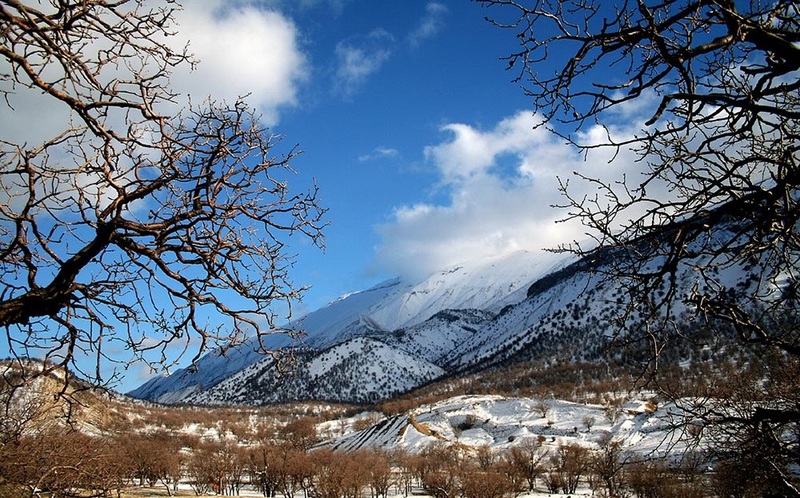 A nice option for mountaineering, the mountain is hit by young climbers and adventure lovers; for this, you should first drive a car to Darre Shahr and past by Bahram Khani, and Guran villages. After a navigation in the mountain pass of Pineh over the ridge, you will have a strenuous yet enjoyable climbing, 12, 5 k in length, to conquer the awe-inspiring mountain in Ilam Province. Atop the mountain you will see a panoramic view of the rocks and trees.